You are here: Home / Culture and heritage / Friday 15 March 2019: a way to look forward with hope? 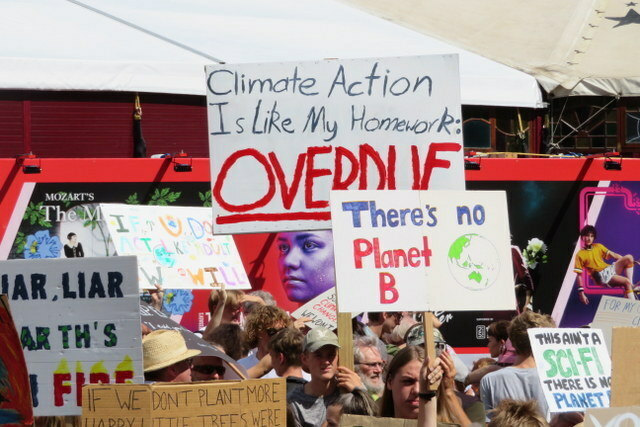 On this same day, before the evil erupted in Christchurch, tens of thousands of young people in Aotearoa left their schools to demonstrate their deep concern about climate change and the future of our planet. We went to Aotea Square in Auckland to support them. It was inspirational- thousands of young people of all cultures and faiths gathered there carrying creative and challenging placards and banners. 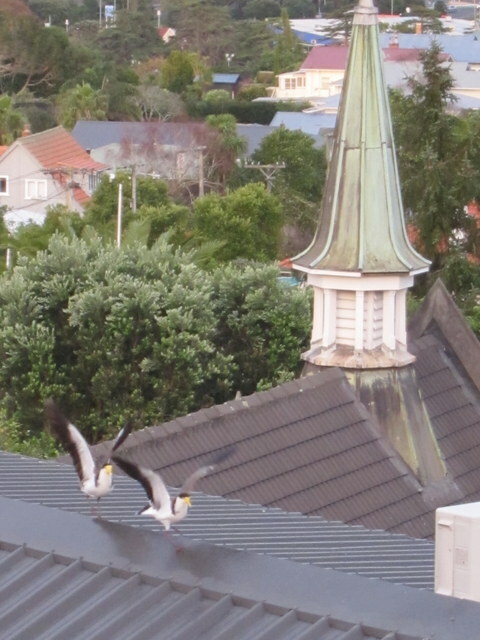 They were bold and insightful in speech, rap, poetry, song, haka. As for those principals who threatened punishments for their students attending the demonstration, they should be ashamed of themselves. Principals are supposed to be educators, not prison wardens. 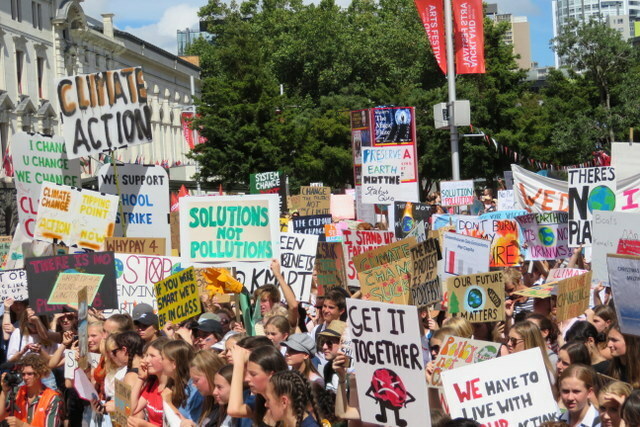 Congratulations to those schools who encouraged students to participate and to learn more about challenging the system and working for a better world.